On Page SEO is one of the most important parts of SEO. This helps you get top rank in search results and increase organic traffic. Today in this article, I am going to share with you a complete on-page SEO checklist. SEO means – Search Engine Optimization. It helps you get a better rank in the search result and increase the number of visitors on your site. If you publish good quality content on your blog but do not use SEO, then people will not be able to access your website. When users search for anything then the search engine will not be able to list your site in SERPs. This means it can be very difficult to get traffic to your website without SEO. On Page SEO – Optimizing content quality, keyword, title, tags, keyword research etc is called on page seo optimization. Off page SEO – In this SEO process, link building and promotions are included. But here I will only talk about on page SEO techniques! On Page SEO is a process in which we optimize content (title, permalink, meta description, website loading speed, alt tag etc) to get higher rank in search engines and more traffic. You do not have to work harder for this, you have to follow some tips and process. And you’ll be able to derive good traffic on your website. This is the first and most important step. Always write unique, Interesting and something new on your Blog. If you do not write engaging contents, then readers will not stay on your blog for a long time and they will soon leave your blog. Apart from this, Google does not rank low-quality content. When Google ranks a content, it uses variety of ranking factors. But content quality is still very important. The title of your blog post is a very important aspect in on page SEO optimization. When search engines crawl your content, they check variety of things – One of them is Title. Also, it makes a significant impact on visitors. If your title does not attract visitors, they will never click on your content. No matter how good your article is. Always try to keep your main keyword at the beginning of the title. Sometimes it may happen that you have trouble keeping it in the beginning, then put it in the middle. It helps to better understand search engines – what content is about. Long articles are much better than small articles. Lengthy articles performs better in search engines. So always try to write detailed, high-quality, lengthy posts. But keep one thing in mind, do not write nonsense things to increase your content length. Always keep your post URL short and add your main keywords to it. This helps the search engine to understand what your post is about. Here is a guide onhow to create SEO friendly URL. Do not use special characters, symbols, brackets, commas for the URL. Create a short and readable URL. Long URLs does not fully visible in search results. Keyword Research is the part of on-page SEO. If you publishing unique and very useful articles on your blog, but do not do Keyword Research, your articles will not rank in SERPs. Here is an article on how to keyword research for SEO. There are many great tools and websites that can help you find good keywords related to your article. Here is a list of Best Keyword Research Tools you can use. Always choose low competition and high searches keywords for your article and for this you can use Google AdWords Keyword Planner. Long Tail Keywords play an important role to increase traffic. These are very targeted. There are many bloggers who ignore image optimization. They do not use Proper Name and alt tag for their images which is against on-page SEO optimization. Apart from this, if you use a lot of images for your content, then resize and compress them. This reduces your image size and improves your site load time. Keyword stuffing creates a bad user experience on the reader and Google does not like it at all. You think that using too many keywords in the blog post will bring more traffic to your blog, but it has the opposite effect. This technique leads your site to penalty. The keyword density in your post should be 0.5% -2%. This is very important so first of all check that your site is Mobile Friendly. If your site is not mobile friendly, then Google will reduce your ranking and your site will not perform well for mobile search. More than 60% – 70% of the searches are now done on mobile devices. That’s why make sure your website looks good and performs better on mobile devices. You can use Google’s Mobile Testing Tool to check your website or blog is mobile-friendly. If not, you need to install a responsive WordPress theme. Use Focus Keyword once in 100 words of the beginning of the article. It helps Google understand what your content is about. Also, link your important article to the first paragraph of the content. It makes your content more SEO friendly and your content performs better in SERPs. Google is using Page Speed as a ranking factor. So make sure your website loads fast. If your site loads very slowly, Google will not rank your site. Use a good web host. Meta description is a brief description of the content that appears in the search results below the title. It helps to increase Click Through Rate (CTR) on your content. Use Focus Keywords in Your Meta Descriptions. Google usually allows writing 150-160 characters for meta description. H1 tag boosts your ranking and helps understand search engines what your page is about. There are many WordPress themes that do not use the H1 tag for the title. If you use such a theme, you should use the H1 tag for your title. Never use the H1 tag more than once. This increase both your ranking and reader. But your content should be informative and useful. Visitors like to read those blogs that publish content daily with new and unique ideas. Appart from this, Google gives more priority to those blogs that regularly publish posts. If you publish 2 posts in a week but do not publish anything next week, then this strategy is worse than publishing 1 posts a week. If your site has too many broken links (404 not found), Google will slowly crawl your site. Search Engine (Google) will understand, the website owner does not maintain the site well. Broken Links affects both your site ranking and user experience. To get rid of broken links, you can use the Broken Link Checker plugin. This plugin helps to fix internal and external broken links on your site. Also, this plugin automatically sets the ‘nofollow’ tag for broken links. Internal linking is very important for SEO. When you link your old article to the new one, it is called internal linking. It has many benefits. Using only focus keywords in your content is not good according to on Page SEO. Use some related keywords in your content. So that search engines can better understand your content and rank them on the first page. If you use affiliate links in your content or linking with untrusted sites, set rel = “nofollow” tags for them. And for this, you can use the Ultimate Nofollow plugin. This plugin gives full control over the rel = “nofollow” tag. In addition, if you use the affiliate plugin to manage your affiliate link, you can easily set no-follow attribute for your affiliate link using the plugin. When you add an outbound link to your content, it makes your content more useful for visitors. Also helps Google figure out your page’s topic. When you link to an external site, You have to take care of many things – the content of that site should be relevant or be useful, that site should not be spammy, its DA and PA should also be good etc. Social signals do not play a direct role in your site’s ranking. But social shares attract more attention to your content. Modifiers Words (“2019”, “best”, “guide”, “checklist”, “fast” and “review”)make your title more attractive. They put a good impression on the user and compels to read your content. When you add images or video to your content, it makes your content more attractive and useful. Also, people spend more time on your site. 1 image equals 1,000 words but the image should be related to your content. The design of any site creates a good impression on readers. There are many great WordPress themesavailable in the market that provide a clean and simple design to your site. But many beginners make their site so colourful that distracts the reader’s attention. Add your main keyword in the title. Add your main keyword in the permalink. Drop your main keyword in the first paragraph. Add your main keyword in the image alt tag. Rename your images before uploading. Use related keywords to your content. 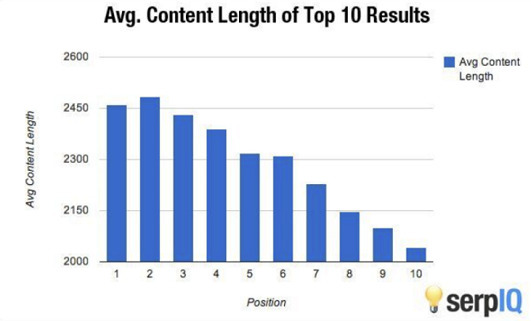 Use long tail keywords for your contents. Keep your keyword density around 1.5% to 2%. Add infographics and video to your content. Write a post of at least 1000 words. Compress and resize images before uploading. Boost your page load speed. Create a catchy title and use 65 characters. Create custom and attractive meta description and use 120 characters. Link your old articles in a new article. Don’t put H1 tag more than one. Publish new and quality post on a regular basis. Add modifiers word in the title. Keep your site design clean and simple. Fix broken links in your content. Use the Social share button at the bottom of each post or at the beginning of the post. Use Nofollow tag for Affiliate links and untrusted links. These are the on-page SEO techniques that will help you to increase your website traffic. When you implement these techniques on your website, you will not see results immediately. This is a long time process, you have to be a little patience. We’re done, and it’s now your turn! Find this on Page SEO guide helpful? Don’t forget to share!